4th Annual Masters of Taste: 2019 Host Chef Michael Hung and L.A.’s Top Tastemakers Celebrate the Finer Things on Field of the Iconic Pasadena Rose Bowl! 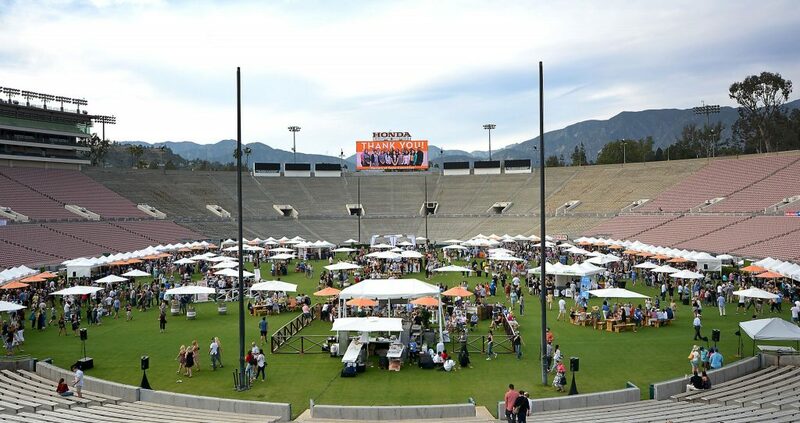 Los Angeles, CA – Come celebrate and be part of the 4th Annual Masters of Taste, L.A.’s premier outdoor, luxury food and beverage festival that will take place on Sunday, April 7th, 2019 from 3:00 pm to 7:00 pm on the field of the iconic Pasadena Rose Bowl! Masters of Taste 2019 will bring over 2,500 food and beverage enthusiasts together from all over Greater Los Angeles for one afternoon to celebrate this exhilarating festival, which will include the finest fare from over 95 Culinary Masters and restaurants, delectable sweets prepared by L.A.’s top Sweet Masters, top Beverage Masters who will be featuring signature handcrafted cocktail tastings from over 25 spirit brands and bars, a premier 50-Yard-Line Cocktail Bar featuring top Mixologists from four of L.A.’s most distinguished drinking destinations, select wineries, local craft breweries, cold-pressed juices, cold brew coffee, live entertainment and much, much more. Sweet Masters: A select group of Los Angeles Top Sweet Masters will showcase an assortment of delectable desserts such as the deliciously scrumptious scratch baked custom cakes and cupcakes from Fantasy Frostings, Lark Cake Shop and Lady M., Chocolatier Mignon Chocolate, My/Mo Mochi Ice Cream, Nomad Ice Pops, homemade premium sorbets from Pop’s Artisinal Creamery, Porto’s Bakery, SuperCool Creamery, THE Bakery Truck and more. Brewmasters: Beverage Masters who specialize in barley and hops will be presenting top-notch ales, lagers, pilsners and more for guests to sample, sip and savor all throughout the event, including Southern California favorites Indie Brewing Company, Iron triangle Brewing, Los Angeles Ale Works, Lincoln Beer Company, MacLeod Ale Brewing Co., Arcadia’s first Microbrewery Mt. Lowe Brewing Co., San Fernando Brewing Co. and State Brewing Co..
Wineries: A specially curated collection of Wine Masters will be showcasing their finest varietals including premium boutique winery Ascension Cellars, CRŪ Winery, Frisco Cellars, Golden Star Vineyards & Winery, Hitching Post Winery, Kieu Hoang Winery, Anderson Valley’s Navarro Vineyards, San Simeon Wines, Vinemark Cellars, Wrath Wines and more. Bars & Spirits: Some of L.A.’s top bartenders and cocktail bars will be creating first-rate craft cocktails, including Cameron Masden of The Raymond 1886, Ned Kirby of Magnolia House, and Katie Putterlik of Otoño. Top brands showcasing their finest spirits will also include American Born Moonshine, Buzzbox, Dulce Vida Tequila, KI NO BI Dry Gin, Krafted Spirits, Neustra Soledad Mezcal, Pomp & Whimsy, SelvaRey Rum, Ventura Spirits, Wild Roots Organic Vodka, Woodford Reserve, ZYR Russian Vodka and many more. Non-Alcoholic Beverages: A variety of premium non-alcoholic Beverage Masters will also be on hand for those who wish to hydrate, caffeinate or regenerate, such as Boxed Water, Califia Farms Juices and Cold Brew Coffees, Dry Sparkling, East Imperial, Groundwork Coffee, Honeydrop Beverages, Humm Kombucha, Immordl energy elixirs, Matcha Matcha, Zico Coconut Water and more. Sponsors: Masters of Taste 2019 is made possible through the generous support of our Sponsors, which include HomeStreet Bank, Judith L Chiara Foundation, US Bank, Western Asset Management, Kaiser Permanente, Capitol Group, Citizen’s Business Bank, Chase Bank, Westport Construction, App Dynamics, Pasadena Tournament of Roses, Clear Stream Media Group, Tsutayo Ichioka & Satsuki Nakao Foundation, HKG LLP, Wescom, California Linens and more. Ticket Information: Masters of Taste 2019 will take place on Sunday, April 7th, 2019. A VIP Power Hour will be held from 3:00 pm to 4:00 pm and General Admission will be from 4:00 pm to 7:00 pm. Tickets to this event are only available for guests 21+ and over. For more information on Masters of Taste 2019 or to book your tickets directly, please visit www.MastersofTasteLA.com/Tickets. Location: Pasadena Rose Bowl – 1001 Rose Bowl Drive, Pasadena, CA 91103. Transportation and Parking: Guests are encouraged to utilize car services – Lyft, Uber, Taxi, etc. – since this event does serve alcoholic beverages and is a 21+ and over event. Complimentary parking is also available at the Rose Bowl. Las Vegas— Jim Meehan, entrepreneur, bartender and the author of James Beard award-winning “Meehan’s Bartender Manual” will deliver the keynote “Your Work Family: Hiring, Training, Mentoring & Motivating Your Team for the Long Haul” during the 2019 Nightclub & Bar Convention and Trade Show on Monday, March 25 from 1 to 1:45 p.m. at the Las Vegas Convention Center. During the keynote, Meehan will discuss how his leadership style has changed over the years and how to effectively motivate colleagues and staff to achieve their full potential. 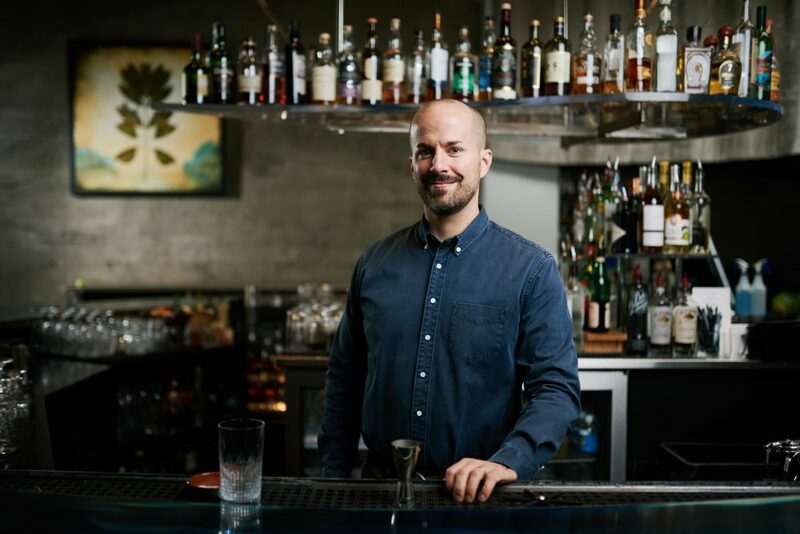 In addition, Meehan will share his experiences that earned him the title of one of America’s best bartenders, along with the tactics and mindsets that he implements into his business model to mentor the next generation of hospitality superstars. The keynote is open to all attendees, speakers, sponsors and exhibitors. Additional keynote sessions will be announced soon. Please visit Nightclub & Bar Show’s website for keynote updates and here for a full list of speakers. The Nightclub & Bar Show returns to Las Vegas March 25 – 27, offering the world’s largest gathering for bar, nightlife and beverage professionals in the industry. 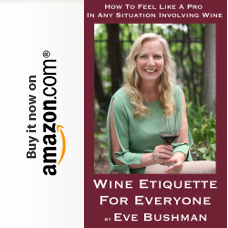 The event offers an extensive educational series program for industry professionals to gain insight on new trends and products, attend speaker sessions and network amongst the top professionals in the everchanging bar and nightclub industry. For those interested in attending the show or for more information, please visit www.ncbshow.com. PASO ROBLES, Calif. (PRWEB) – Paso Robles award winning estate winery, Allegretto Vineyards and Wines, held the second annual Harvest Dinner on October 19, 2018. This was an opportunity for the community to help the winery celebrate its harvest and meet the winemaker, Allen Kinne. The evening began with hors d’euvres at sunset and concluded with live music under the stars on the Piazza Magica. Executive Chef Justin Picard prepared a culinary experience as the highlight of the evening. In celebration of the harvest, Allegretto poured their award-winning small lot, single vineyard and Allegretto estate wines. The combined talents of winemaker Kinne and Chef Picard promised a magical evening of excellent wine, food, and good company. Alan Kinne has been working with Allegretto Vineyards owner, Douglas Ayers, for the past six harvests, guiding the hand-picking harvest from all of the Allegretto vineyards and producing Allegretto’s award-winning Paso Robles estate wines. 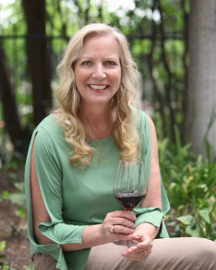 Kinne was the original winemaker at Horton Vineyards and helped launch Chrysalis Vineyards, both in Virginia, until leaving for Paso Robles in 1999. His winemaking career started in 1977 with Tabor Hill Winery in Michigan. Since then his career has taken him from Michigan to Virginia, to Paso Robles and Oregon and back to Paso Robles. Kinne is widely credited for introducing the Albariño grape to the Central Coast after planting the vines in Virginia in 1996. Chef Justin Picard is the executive chef for Allegretto resort’s farm-to-table Mediterranean-inspired Cello Ristorante and Bar. A graduate of the Culinary Institute of America in New York, Picard has worked in some of the most renowned kitchens in San Francisco and Aspen. His extensive career has led to opportunities overseas, two guest appearances at the James Beard House in New York, and participation in some of the nation’s most celebrated food and wine events. The turnout for the evening was greater than expected and set the stage for future winemaker dinners and events. All of the wines poured during the evening are available from the Allegretto Vineyards tasting room. 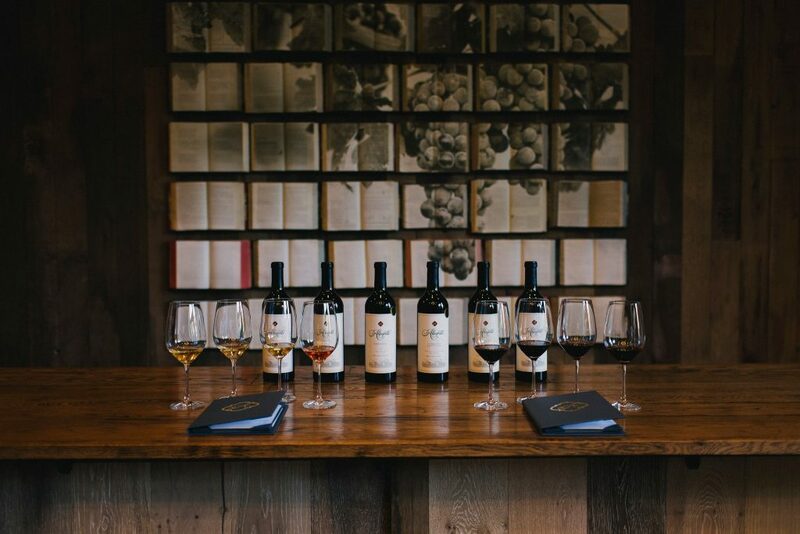 The wine menu at the Allegretto Vineyard and Wines tasting room include flights presenting estate white and rosé wines, and estate Malbec, Tannat, Zinfandel, and Cabernet Sauvignon. Four different flights of award-winning wine are available. A special tasting room food menu from Allegretto Resort’s Cello Ristorante & Bar can be enjoyed with a bottle of wine in the family-friendly courtyard. Lucques, arguably one of Los Angeles’s most beloved and critically acclaimed restaurants, commemorates its 20th birthday milestone with a four-month series of thoughtfully-planned dinners. 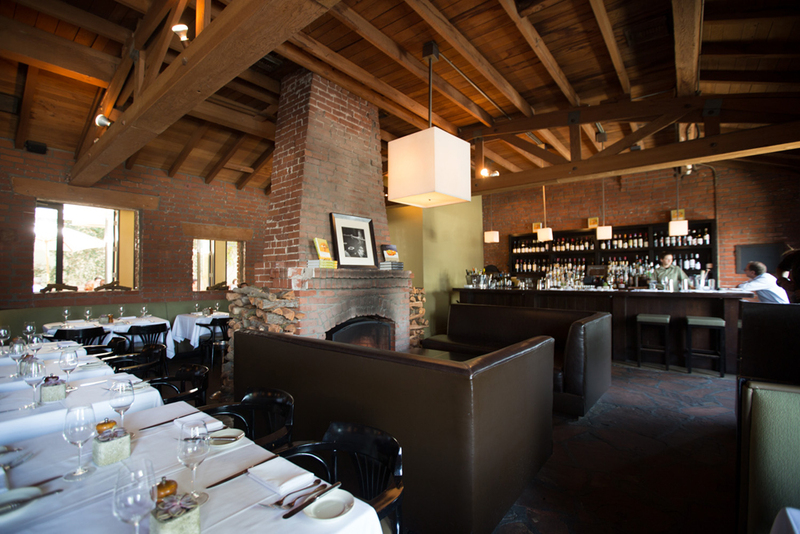 This iconic restaurant, with its cozy brick decor, wood beams and elegant garden was originally the rustic carriage house of the Harold Lloyd Estate. On September 25, 1998, the doors opened as Lucques, the debut venture of Suzanne Goin and Caroline Styne and the flagship restaurant of The Lucques Group. The restaurant, with Suzanne’s regularly changing menus of French/California dishes created from the rich choices of produce from the weekly farmers’ markets and Caroline’s inspired wine selections, made an immediate and everlasting impact on Los Angeles culinary narrative. To celebrate the birthday, Suzanne and Caroline are taking a heartfelt four-month journey through their history and highlighting the moments, people and places that influenced them along the way. The series of one-night-only events include a tribute dinner with fellow Food & Wine magazine’s “Best New Chefs of 1999” Paul Kahan and Marc Vetri along with journalist Kate Krader; a dinner commemorating Suzanne’s culinary travel to Spain with Wylie Dufresne, Gabrielle Hamilton, Michael Schlow and Paula Disbrowe; and the OG Dinner in recognition of Lucques’ talented alumni Corina Weibel, Julie Robles, Brian Edwards, Breanne Varela and Laura Schweers who were instrumental to the restaurant’s early success. The Wood-Fire Heroes dinner will team friends and chefs Chris Bianco and Russell Moore who will recreate some of the dishes from Suzanne Goin and David Lentz’s 2004 wedding dinner in Phoenix by Bianco. The birthday will culminate on September 24, 2018, with a one-night-only gala complete with surprise guests, family, friends and memorabilia of the past twenty years with details to be announced in the upcoming months. In addition to these events, Lucques will be revisiting some of their most memorable menus with regular ‘Retro Sunday Suppers’ and Wednesday night ‘Celebrate the Farmers’ Feasts featuring Peter Schaner, James Birch and more. Lucques was just one year old when Suzanne got the surprising phone call from Food & Wine magazine announcing that she was named one of their Best New Chefs for 1999. 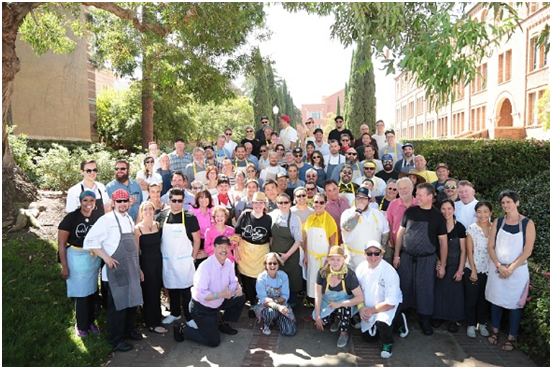 Two of those other chefs became particularly close friends of Suzanne and Caroline’s and one, Marc Vetri, introduced them to the charity from which was born their annual fundraiser, L.A. Loves Alex’s Lemonade. Journalist Kate Krader, who was influential in choosing those Best New Chefs will be in the house as well. Lucques welcomes back the crew from the early days to cook a momentous Old School Sunday Supper with them. This dinner includes talented alumni Corina Weibel, Julie Robles, Brian Edwards, Breanne Varela and Laura Schweers. A born Francophile, Suzanne focused the early years of Lucques on the Southern countryside of France, but a momentous trip to Spain in 2001 opened her eyes to the glories of the Iberian Peninsula and introduced her to an extraordinary group of chefs who have remained great friends of the restaurant ever since. Lucques welcomes great friends and chefs Chris Bianco and Russell Moore to grill their hearts out over a wood-fire! 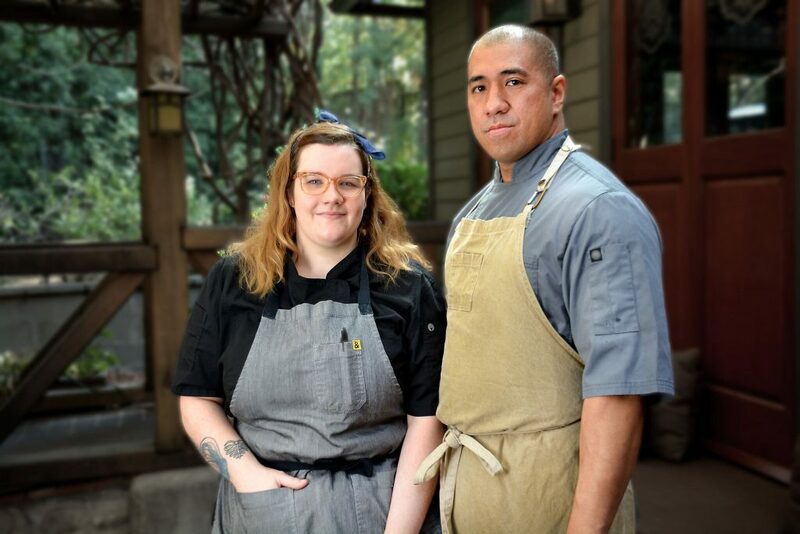 Russ and Suzanne worked together at Chez Panisse back in the day, and Chris so impressed Suzanne and her then-fiancé David Lentz that they decided to get married at Pizzeria Bianco and have him create the menu. Look out for a few of those wedding dishes to show up on the 12th! Celebrating the incredible 20-year journey with a five-course dinner of favorite dishes from over the years. More details to come! Reservations required; call the restaurant at 323.655.6277 or book online at www.lucques.com. With the opening of Lucques, their flagship restaurant, in 1998, three-time James Beard Foundation’s award-winner Suzanne Goin and 2018 James Beard award-winning restaurateur Caroline Styne planted the seeds for The Lucques Group, a Los Angeles hospitality company that comprises two other fine dining restaurants – a.o.c., and Tavern – and four marketplace restaurants – The Larder at Maple Drive, The Larder at Burton Way, The Larder at Tavern and The Larder at Tavern at the Tom Bradley International Terminal at LAX. Along with these culinary enterprises, the company also operates Lucques Catering, the Larder Baking Company and comprehensive food services for the Hollywood Bowl. The Lucques Group is dedicated to seasonally influenced cooking and focuses on sourcing local, organic produce from which Goin creates soulful dishes that are bold in flavor, vibrant, layered and complex. LOS ANGELES, CA — The Los Angeles Philharmonic Association announced today details of the menus for the 2018 Hollywood Bowl Food + Wine season. Building on the success of last two summers with award-winning chef Suzanne Goin and business partner restaurateur Caroline Styne of The Lucques Group, and Sodexo Sports & Leisure, Hollywood Bowl Food + Wine promises exceptional dining for visitors to the iconic venue. Goin and Styne’s culinary history has defined Los Angeles tastes since 1998 when they opened Lucques, their flagship restaurant. At the Hollywood Bowl, their California-inspired offerings, which include over 17 concepts, are created by four-time James Beard Foundation award-winner Suzanne Goin in tandem with the exceptional wine and beer programs curated by Caroline Styne, recent recipient of the Foundation’s 2018 Outstanding Restaurateur of the Year award. Overseeing the broad range of dining options serving Hollywood Bowl Food + Wine’s thousands of nightly guests is Sodexo Executive Chef Jeff Rogers. This year concert-goers can skip the line before the concert and use the Hollywood Bowl Food + Wine mobile app and choose pizzas, barbecue, bánh mi, hot dogs, and popcorn, and easily pick up their picnic on the way to their seats. For the highly praised Supper in Your Seats, Suzanne adds her Susanita’s Carnitas Feast for Two as well as a new picnic box, the Maple Drive, slow-roasted prime beef tenderloin served with Early Girl tomato salad, roasted potatoes, wild mushrooms and a caramel chocolate brownie. For a grab-and-go option, Alex’s Veggie Sandwich – a tribute to Suzanne’s daughter Alex – will be found at all Marketplace venues. 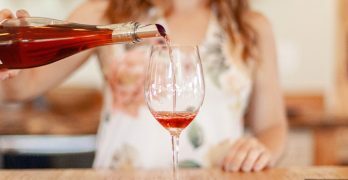 Returning for the 2018 season is the well-received Winemaker Wednesdays series, an eight-week program of complimentary wine tastings at the Plaza Marketplace from guest winemakers hand selected by Caroline Styne. Hollywood Bowl Food + Wine’s many dining choices include two sit-down restaurants, street-food kiosks, pre-ordered picnic boxes, and full-service dinner delivered to your box seat. For private events, Hollywood Bowl Food + Wine will also provide catering at several locations for groups both large and small. Supper in Your Seats – Available by pre-order online up to 4 pm the day before a performance, Supper in Your Seats offers curated three-course dinners or customized meals from à la carte selections delivered right to your box seats. Menu Highlight: The brand new Susanita’s Carnitas Feast for Two features ceviche de mariscos; sweet corn tostadas; patio salad of cucumber, tomato & romaine; pork carnitas; Javi’s guacamole; black beans; tomato rice; pico de gallo; and tres leches cake with mango, coconut and lime. Picnic Boxes – All five of Suzanne Goin’s complete picnic boxes can be pre-ordered a day before a concert and picked up at the Plaza Marketplace or delivered to your box seats. Menu Highlight: This year Suzanne adds The Maple Drive – peppered beef tenderloin with horseradish cream; early girl tomato salad with red onion and basil pesto; fingerling potatoes and wild mushrooms with salsa verde; triple crème cheese with dried figs and walnuts; and a caramel chocolate brownie. The Wine Bar by a.o.c – Boasting a wine list curated especially by Caroline Styne, L.A.’s favorite wine bar comes to life at the Hollywood Bowl and features artisanal cheese and charcuterie, signature vintner’s and farmer’s plates, grilled flatbreads, market-fresh salads, and a.o.c.-style fish and meats. There are also craft brews and farmers’ market-driven cocktails made with soju and other wine-based liquors. Menu Highlight: Lamb skewers with fava bean purée and tomato-preserved lemon salsa. the backyard – The al fresco dining room is flanked by two large wood-burning grills and offers an updated seasonal market-driven menu of summer salads, grilled fresh fish, scallops, lamb merguez, pork chops, steaks, side dishes and an extensive raw bar. Menu Highlight: Diver scallops with cornbread panade, wild mushrooms and gremolata. Kitchen 22 – Made-to-order beef and turkey burgers, Suzanne’s Spanish fried chicken, grilled Comté cheese on Larder sourdough, and savory sandwiches anchor the Hollywood Bowl’s tribute to American classic fare. Menu Highlight: The new falafel wrap with house-made carrot-jalapeno slaw, green onion zhoug, and tahini dressing. Street Food and Snacks – Authentic street foods can be found throughout the grounds of the Hollywood Bowl, including a diverse range of multi-cultural foods of Los Angeles, from street tacos, gourmet pizzas, specialty hot dogs, BBQ, bánh mì, sandwiches, and nachos, to confections and signature desserts at the Sweet Shop. Marketplaces – Three Marketplace locations – Plaza, East and West – feature “grab-and-go” salads, hot entrées that include rotisserie chicken, barbecued beef brisket and mac ’n’ cheese, as well as other picnic-friendly sandwiches and cheese plates. The west side Marketplace features a sushi bar where chefs prepare premium sushi, available for pre-order or to purchase on-site. Showcasing the best of Goin and Styne’s casual Larder café-marketplace, these Hollywood Bowl venues also feature a large selection of hand-picked wines, craft beers, sodas and waters, as well as salty and sweet snacks including cookies and brownies, candy, nuts and crackers. Menu Highlight: A new sandwich and a summer favorite of Suzanne’s daughter – Alex’s Veggie sandwich – goat cheese, farmers’ vegetable slaw, and basil pistou. Lucques at the Circle – This is a full-service dining experience for subscribers of the Pool Circle, showcasing a seasonal made-to-order menu and exceptional wine list styled from the award-winning cuisine of Lucques. Menu Highlight: Tunisian grilled halibut with couscous, summer squash, harissa, and pistachio yogurt. Please visit hollywoodbowl.com/foodandwine for more information about the food and wine experiences available at the Hollywood Bowl. The Los Angeles Philharmonic Association, under the vibrant leadership of Music Director & Artistic Director Gustavo Dudamel, presents an inspiring array of music from all genres – orchestral, chamber and Baroque music, organ and celebrity recitals, new music, jazz, world music and pop – at two of L.A.’s iconic venues, Walt Disney Concert Hall (www.laphil.com) and the Hollywood Bowl (www.hollywoodbowl.com). The LA Phil’s season extends from September through June at Walt Disney Concert Hall, and throughout the summer at the Hollywood Bowl. With the preeminent Los Angeles Philharmonic at the foundation of its offerings, the LA Phil aims to enrich and transform lives through music, with a robust mix of artistic, education and community programs. One of the largest natural amphitheaters in the world, with a seating capacity of nearly 18,000, the Hollywood Bowl has been the summer home of the Los Angeles Philharmonic since its official opening in 1922 and plays host to the finest artists from all genres of music, offering something for everyone. It remains one of the best deals anywhere in Los Angeles; to this day, $1 buys a seat at the top of the Bowl for many classical and jazz performances. In February 2018, the Hollywood Bowl was named Best Major Outdoor Concert Venue for the 14th year in a row at the 29th Annual Pollstar Awards and was awarded the Top Amphitheater prize at the 2017 Billboard Touring Awards. For millions of music lovers across Southern California, the Hollywood Bowl is synonymous with summer. With the opening of Lucques, their flagship restaurant, in 1998, James Beard award-winning Chef/Author Suzanne Goin and James Beard award-winning Restaurateur Caroline Styne planted the seeds for The Lucques Group, a Los Angeles hospitality company that comprises two other fine dining restaurants – a.o.c. and Tavern – and four marketplace restaurants – The Larder at Maple Drive, The Larder at Burton Way, The Larder at Tavern, and The Larder at Tavern at the Tom Bradley International Terminal at LAX. Along with these culinary enterprises, the company also operates Lucques Catering, the Larder Baking Company and, since 2016, comprehensive food services for the Hollywood Bowl. The Lucques Group is dedicated to seasonally influenced cooking and focuses on sourcing local, organic produce from which Goin creates soulful dishes that are bold in flavor, vibrant, layered and complex. Sodexo Sports & Leisure, a division of Sodexo, Inc., is a premier provider to cultural destinations and event venues around the world and in the U.S., including The Jules Verne restaurant at the Eiffel Tower, the Museum of Science and Industry in Chicago, Space Center Houston, the Smithsonian’s National Zoo, and the Detroit Institute of Art. Sodexo, Inc. is headquartered in Gaithersburg, MD, and funds all administrative costs for the independent and charitable Sodexo Foundation – granting more than $29 million since 1999 to end childhood hunger in America. Visit the corporate blog at sodexoinsights.com. LOS ANGELES, CA – The Los Angeles Philharmonic Association announced today details of enhancements and menus from Hollywood Bowl Food + Wine for the 2017 season. Building on the success of last summer’s inaugural season with James Beard Award-winning chef Suzanne Goin and business partner restaurateur Caroline Styne of The Lucques Group, and Sodexo Sports & Leisure, Hollywood Bowl Food + Wine promises exceptional dining options for visitors to the iconic venue. Goin and Styne’s culinary history has defined Los Angeles tastes since 1998, when they opened Lucques, their flagship restaurant. At the Hollywood Bowl, their California-inspired menus, which include over 17 concepts, are created by Suzanne Goin in tandem with the exceptional wine and beer programs curated by Caroline Styne. Before being finalized, the dishes meet thorough testing and approval from Goin, Styne, Sodexo Sports & Leisure and the LA Phil. Hollywood Bowl Food + Wine is pleased to welcome back Executive Chef Jeff Rogers to oversee the broad range of dining operations that serve thousands of guests nightly. This year premieres the newly-built Plaza Marketplace – located in the completely renovated Box Office Plaza – which offers pre-entry shopping for picnics on the grounds. Suzanne Goin’s “grab-and-go” prepared foods will be available along with fresh breads, cheeses, and snacks, complemented by a collection of Caroline Styne’s favorite wines. This location will also be the new pick-up spot for pre-ordered picnic boxes. Another pre-entry dining option is a new snack bar located on Peppertree Lane, featuring classic concession food including nachos, hot dogs, popcorn, and soft pretzels, as well as chips, beer, and sodas. Inside the venue, a second stand offering a choice of hand-crafted pizzas has been added alongside a new BBQ kiosk. Hollywood Bowl Food + Wine’s many dining options range from two full-service restaurants, food kiosks, and custom picnic boxes for pre-order, to Supper in Your Seats. For private events, Hollywood Bowl Food + Wine will also provide catering at several locations for groups both large and small. Supper in Your Seats – Available by pre-order online up to 4pm the day before a performance, Supper in Your Seats offers the choice of curated three-course dinners or customized meals from à la carte selections delivered right to your box seats. You can also pre-order complete market-fresh picnic boxes that can be conveniently picked up at the new Plaza Marketplace. Menu Highlight: The brand new Moroccan Feast features a trio of hummus with grilled flat bread, spiced carrot salad, shaved summer squash with preserved lemon, labneh with toasted seeds, parsley and mint, chicken tagine with apricots, saffron cous-cous, almonds and harissa, and olive cake with pistachios and citrus zest for dessert. The Wine Bar by a.o.c – Boasting a wine list curated especially by Caroline Styne, L.A.’s favorite wine bar comes to life at the Hollywood Bowl and features artisanal cheese and charcuterie, signature vintner’s and farmer’s plates, grilled flatbreads, market-fresh salads, and a.o.c.-styled fish and meats. There are also craft brews and farmers’ market- driven cocktails made with soju and other wine-based liquors. Menu Highlight: Alaskan halibut niçoise with haricots verts, tomato, olive and anchovy. 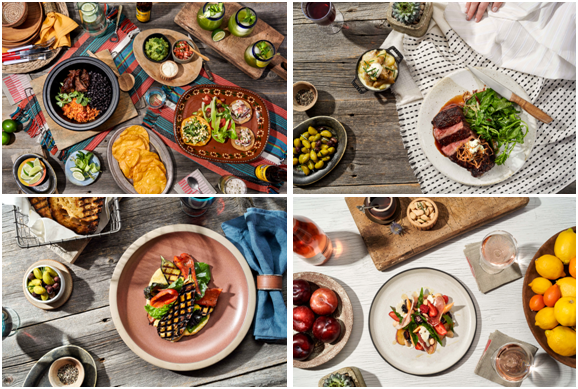 the backyard – Al fresco dining featuring an all-new menu at the Hollywood Bowl centers around two large wood-burning grills with a farmers’ market-driven menu of summer salads, grilled fresh fish, scallops, lamb merguez, pork chops, steaks, side dishes and an extensive raw bar. Menu Highlight: Kurobuta pork chop with summer figs, St. Agur, speck, arugula and saba. Kitchen 22 – Made-to-order beef and turkey burgers, savory sandwiches and grilled delights anchor the Hollywood Bowl’s tribute to American classic fare. Menu Highlight: The Cali, featuring free organic turkey, Monterey Jack, avocado and tomato aïoli served on a whole wheat bun. Street Food and Snacks – Authentic street foods can be found throughout the grounds of the Hollywood Bowl, including a diverse selection of the multi-cultural foods of Los Angeles from street tacos and specialty hot dogs and sausages, to confections and signature desserts at the Sweet Shop and Larder Baking Company. Marketplace East & Plaza Marketplace – Feature “grab-and-go” salads, hot entrées that include rotisserie chicken, barbecued beef brisket and mac n’ cheese, as well as other picnic-friendly sandwiches and cheese plates. Showcasing the best of Goin and Styne’s casual Larder café-marketplace, these Hollywood Bowl venues also feature a large selection of hand-picked wines, craft beers, sodas and waters, as well as salty and sweet snacks including cookies and brownies, candy,nuts and crackers. Menu Highlight: Slow-roasted salmon with cucumber yogurt, quinoa and turmeric. Buzz McCoy’s Marketplace and Sushi – The west side of the Hollywood Bowl features its own brand of market favorites at Buzz McCoy’s Marketplace. A delicious menu of freshly made “grab-and-go” salads, sandwiches, and other, hot and cold, picnic-friendly foods, alongside the Bowl’s very own Sushi Bar, where chefs prepare premium sushi, all of which can be pre-ordered, as well as purchased on-site. Menu Highlight: Chopped chicken salad with feta, fried pita, cherry tomatoes, cucumbers and mint. Lucques at the Circle – This is a full-service dining experience for subscribers of the Pool Circle. Showcasing a seasonal made-to-order menu and exceptional wine list styled from the award-winning cuisine of Lucques. Menu Highlight: Grilled mustard chicken with spinach, pine nuts, pecorino and soft egg. Please visit www.HollywoodBowl.com/FoodandWine for more information about the food and wine experiences available at the Hollywood Bowl. The Los Angeles Philharmonic Association, under the vibrant leadership of Music & Artistic Director Gustavo Dudamel, presents an inspiring array of music from all genres – orchestral, chamber and Baroque music, organ and celebrity recitals, new music, jazz, world music and pop – at two of L.A.’s iconic venues, Walt Disney Concert Hall (www.LAPhil.com) and the Hollywood Bowl (http://www.HollywoodBowl.com). The LA Phil’s season extends from September through May at Walt Disney Concert Hall, and throughout the summer at the Hollywood Bowl. With the preeminent Los Angeles Philharmonic at the foundation of its offerings, the LA Phil aims to enrich and transform lives through music, with a robust mix of artistic, education and community programs. With the opening of Lucques, their flagship restaurant, in 1998, James Beard award-winning Chef/Author Suzanne Goin and award-winning Restaurateur Caroline Styne planted the seeds for The Lucques Group, a Los Angeles hospitality company that comprises two other fine dining restaurants – a.o.c. and Tavern – and four marketplace restaurants – The Larder at Maple Drive, The Larder at Burton Way, The Larder at Tavern and The Larder at Tavern at the Tom Bradley International Terminal at LAX. Along with these culinary enterprises, the company also operates Lucques Catering, the Larder Baking Company and, since 2016, comprehensive food services for the Hollywood Bowl. The Lucques Group is dedicated to seasonally influenced cooking and focuses on sourcing local, organic produce from which Goin creates soulful dishes that are bold in flavor, vibrant, layered and complex. Sodexo Sports & Leisure, a division of Sodexo, Inc., is a premier provider to cultural destinations and event venues around the world and in the U.S. including The Jules Verne restaurant at the Eiffel Tower, the Museum of Science and Industry in Chicago, Space Center Houston, Smithsonian’s National Zoo, and the Detroit Institute of Art. Sodexo, Inc. is headquartered in Gaithersburg, MD and funds all administrative costs for the independent and charitable Sodexo Foundation – granting more than $29 million since 1999 to end childhood hunger in America. Visit the corporate blog at SodexoInsights.com.